Miss Mani Monster! 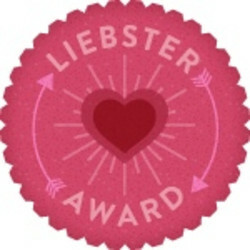 : Liebster Award! Let me start by thanking Kristain at Neffy's Nail Corner for nominating me - I'm so excited! The Liebster Award was created to help new bloggers with less than 200 followers get discovered, and since I'm just getting started, this is a big help! Answer the 11 questions the person who nominated you asked. Come up with 11 new questions to ask the bloggers you nominate. Nominate 11 new blogs with less than 200 followers. You can't nominate the person who nominated you. 1. I can't leave my house without my iPhone. I'd be lost without it. 2. I've been trying really hard to drink 8 glasses of water a day, and the only way I've managed to keep myself hydrated is by drinking water through a straw in my little plastic tumblers. Call me crazy, but something about a straw just makes you not even think about it. 3. I'm kind of obsessed with makeup palettes. 4. Also obsessed with lotion. I put it on like every hour of every day. 5. My hair is ombre! 7. I'm one of those crazies who hates not to know something. If a random question pops into my head or comes up in conversation and I don't know the answer, I google it. 8. I LOVE kids. Runny noses and all. Can't wait to be married & have my own! 9. I'm also one of those crazies whose bed is half covered in pillows. Like 20 of them. 10. I'm running out of wall space in my room because I love putting up pictures and pretty things I make with scrapbook paper! Do you have any friends or family members that share your love of nail polish? - My auntie! She's the greatest! What's your favorite major polish brand? - Sickeningly close tie between Julep and Zoya. I love them! Why did you start blogging? - I love doing my nails, and rather than clogging up people's newsfeeds on facebook with my pictures, I'd rather just blog and have them all in one nice, neat spot! How many polishes do you have? EEK. I'd have to say probably close to 150. If you could have any super power what would it be and why? I would love to be able to read people's minds; I think it would solve a lot of problems for me. Favorite vacation? - Just plain old week at Wildwood. Relaxing on the beach is perfect. 11 Questions for YOU, my nominees! 1. What was your favorite TV show growing up? 2. How about now? Any good shows you could recommend? 4. Besides doing nails, do you have any other hidden talents? 6. What is your favorite places you've already visited? 7. If you could go back and relive any moment in your life, which would it be? 8. Who is your celeb crush? 9. Pick a person - anyone in the world - to spend just 1 day with, dead or alive. Who is it? 11. If you had to embody one of the 7 deadly sins, which would it be? This is the Last Nail Polish I Buy! I Promise!